Ronda Rousey has been fined as a result of her actions on RAW. Ronda Rousey has been fined by WWE for her actions on RAW this week. 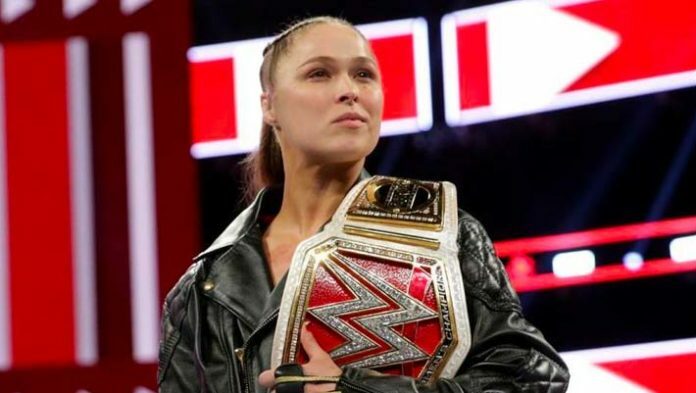 According to WWE, actual amount of the [storyline] fine Rousey will be forced to pay has not been disclosed due to confidentiality clauses in her contract. Dana Brooke confronted Rousey Monday night on RAW. Brooke said Rousey has been insulting pro-wrestling with her comments and went to the ring to confront her. Rousey then proceeded to beat up Brooke even as referees and WWE officials attempted to pry her off. Rousey continued the attack but stopped short of applying her patented arm-bar on Brooke. Rousey stirred up controversy on Sunday with her actions as well. She attacked Lynch during her match with Charlotte Flair, resulting in a disqualification. With the disqualification victory, Lynch qualified to be in the RAW Women’s championship match at WrestleMania. The match will now take place under triple threat rules.